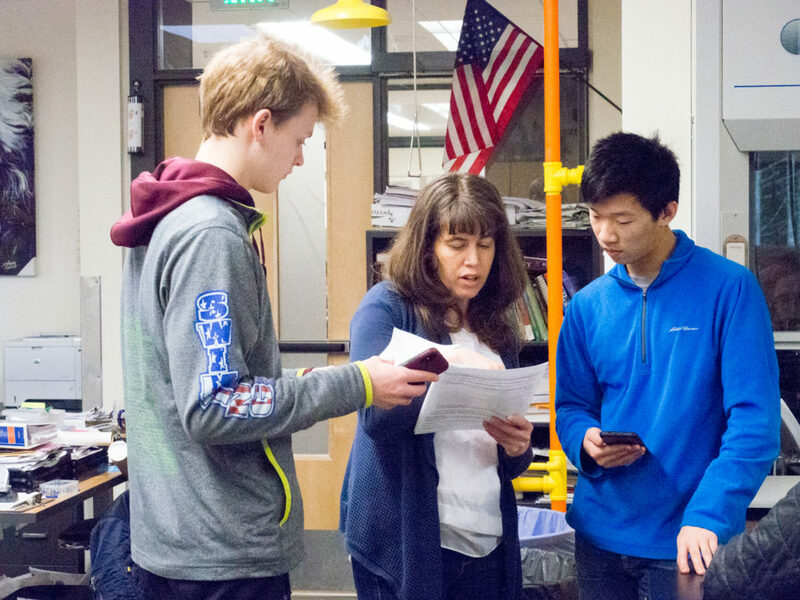 REDMOND, Wash. — On a recent winter morning at Tesla STEM High School, juniors in Kate Allender’s first-period AP Psychology class were busy preparing for an upcoming unit test, reviewing notes on topics like behaviorism and confirmation bias. It wasn’t until the second-period bell rang, however, that one could begin to see how different this is from a traditional psychology course. Staples like woodshop and auto repair have given way to a new breed of courses aimed at careers in everything from film production to science and engineering. Instead of packing up to leave, students migrated over to the room’s pathology lab, well-appointed with microscopes, replicas of human skulls and anatomical models of internal organs. They spent the second half of this dual-period class examining diseased lung tissues and three-dimensional models of burn victims. 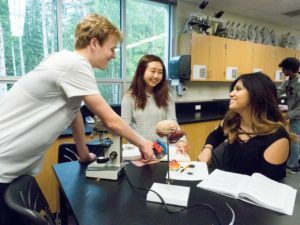 The class combines the academic rigor of AP Psychology with hands-on experience in the field of forensics, the latter as a state-approved career and technical education (CTE) course. In recent decades, vocational education has undergone a significant transition: along with its rebranding as CTE, staples like woodshop and auto repair have given way to a new breed of courses aimed at careers in everything from film production to science and engineering. At most high schools, however, the book learning and hands-on experiences are kept separate. Tesla is a rare case in which classes blend a college-oriented curriculum with one aimed at employment. Students say the benefits are obvious. Allender’s integrated AP/CTE class is part of a unique attempt to provide both the academic foundation and real-world skills education advocates say students will need to thrive in a rapidly evolving career landscape. 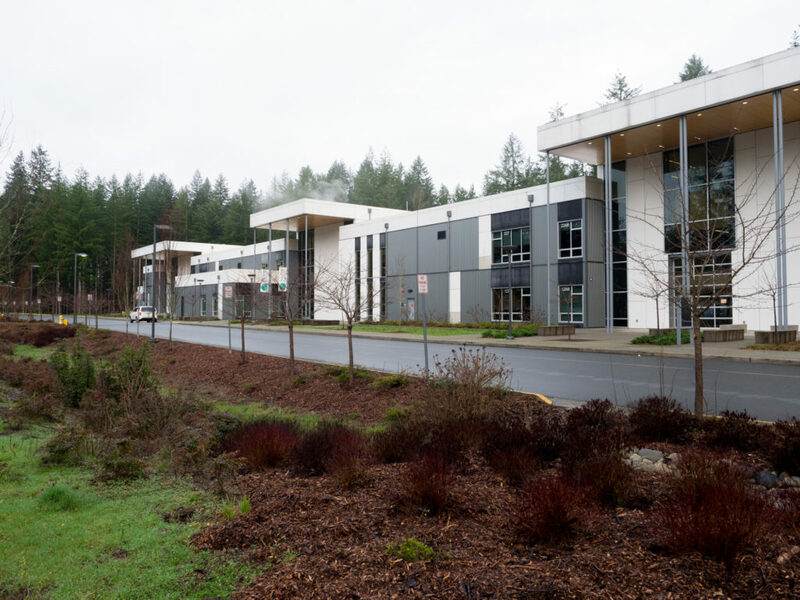 In AP classes high schoolers are taught a college-level curriculum with the goal of scoring well enough on a year-end standardized test to earn college credit or placement out of freshman introductory courses. AP classes have long been promoted as the most viable path to postsecondary success. Experts, however, say that while these classes have their place, putting such a narrow focus on test-taking comes at a cost. Now, at Tesla, each of her students is required to participate in an annual regional science and engineering fair, researching and designing a project in consultation with a mentor they must secure on their own time. While Tesla students have enjoyed regular success in these competitions, Allender says that taking home a prize is less important than what her students learn along the way. Serving a highly educated community with income levels nearly double the national average, Tesla is committed to incorporating career-based programs even though almost 90 percent of its graduates go on to college. That’s a scenario education advocates hope will become more commonplace. At the Academy for Careers in Television & Film (ACTvF), a high school in Queens, New York, the integration between CTE and academics reveals itself in a less structured, though equally comprehensive fashion. As sixth period comes to a close, a student crew is busy positioning lights and cameras to film a scene in the school’s weight room. Within a span of about five minutes, numerous problems arise. Moments later, Aniya Vega, a 17-year-old from the Bronx and the director of this senior honors project, enters the room and is immediately besieged with questions about these and other pressing issues. She remains remarkably calm and poised. 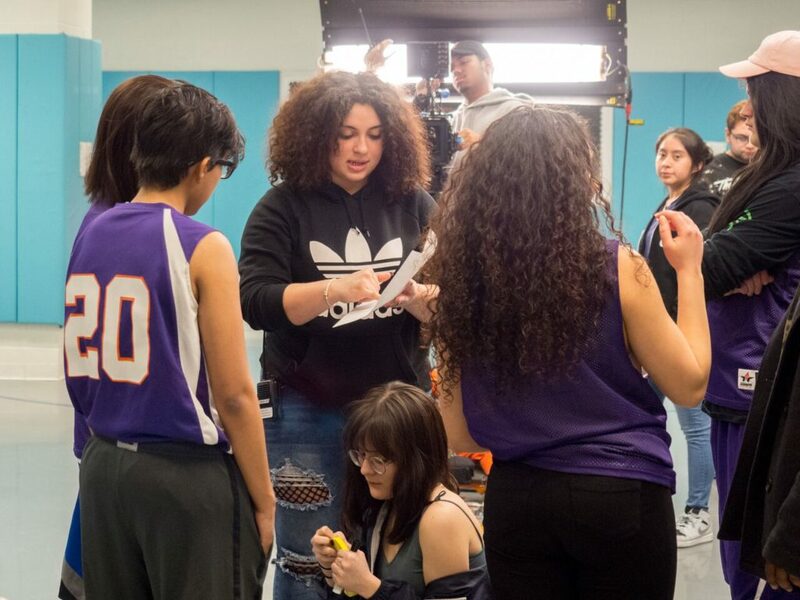 With a little guidance from a supervising instructor and a teaching assistant, the problems are all addressed, leaving Aniya time to go over the script with her actors before clearing the set for the first take. In a situation that would have caused understandable stress and finger-pointing even among adults, seeing a group of 16- and 17-year-olds stay on-task is impressive. This clearly isn’t their first rodeo. At ACTvF, officials have found success with a more holistic approach to integrating academic achievement with career training. With a school population that reflects the ethnic and socioeconomic diversity of New York City, ACTvF graduates 98 percent of its seniors (the citywide average is 71 percent), with 88 percent of those graduates continuing on to postsecondary education. The curriculum is centered around film and TV production but also includes a slate of six AP classes. By design, students spend as much of their time involved in production projects as they do in their academic classrooms. For the school, developing skills like communication, collaboration and problem-solving is an ethos that permeates almost every task students encounter. For incoming freshmen, learning how the world works begins by collaborating in small teams of two and three, learning the basics of camera operation and storytelling and using them to create 30-second film projects. As sophomores, they are exposed to more advanced equipment, which they take on location for unsupervised assignments. For their final two years, students select a discipline — like directing, production design, camera or lighting — and work in groups of up to 20 to complete longer-form projects. With open lines of communication between the academic and production departments, the school finds ways to integrate the two. In an English class unit on American theater, for example, students read “A Streetcar Named Desire.” Instead of simply writing an essay about character motivation, students can choose to demonstrate their understanding by designing, staging and shooting a scene from the play. While acknowledging that not every subject lends itself to this type of integration, Rodriguez is adamant that the key to providing students with scholastic rigor alongside the skills they need to be successful adults requires a very intentional, purposeful effort. “We always have to make sure we are giving the appropriate weight and investment to both CTE and the academics,” he said. Hiring standards for CTE instructors are just as high as those for math and science teachers; the former come with years of high-end professional production experience on their resumés. Striking a balance between classroom and hands-on learning is an ongoing challenge. It became especially tricky once the school developed an extensive internship program for its seniors at networks and studios in the city’s thriving production industry. “We had to have explicit conversations internally about how to balance kids doing internships and AP classes,” noted Rodriguez, saying that if a student is going to commit to spending one full day per week at an internship, a schedule stacked with three AP classes isn’t realistic. Amadou Diallo is a journalist, photographer and author based in New York. 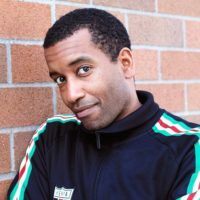 His work has appeared in the New York Times, The Atlantic, The Christian Science Monitor, Al Jazeera America and Wirecutter.